Indian Institute of Management (IIM), Nagpur has recorded 100% placement for its second batch of Post Graduate Programme. The highest annual package offered is 19 lakh. 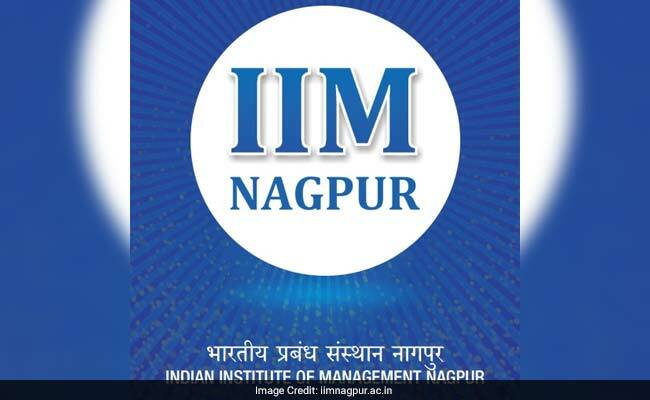 New Delhi: Indian Institute of Management (IIM), Nagpur has recorded 100% placement for its second batch of Post Graduate Programme. The highest annual package offered is 19 lakh. The placement season witnessed participation of 54 students. One out of the 7 female students who had participated opted to pursue her entrepreneurial dreams. With 40 recruiters from various sectors like FMCG, Analytics, IT Consulting, BFSI, Consumer Durables, Logistics, Media the average CTC has been 12.05 lakh per annum for this batch. IT sector (Tech Aspect, JK Technosoft, Value Labs, Infosys BPM) is the major recruiter followed by BFSI (Yes Bank, SBI Mutual Fund, Bajaj Allianz). Education, e-Commerce, Consulting had the minimum share in the hiring process. An increase in 28% in hiring has been observed in the IT sector. 'This year IIM Nagpur also witnessed enthusiastic participation from senior executives of companies like Maharashtra Metro, Stellar Value Chain Solutions Limited, Fractal Analytics, HDFC AMC, Axis Risk Consulting, Lowe Lintas, TCS, HUL, Marico and Tie Global among others, in the form of open seminars and guest lectures,' reads an official statement from IIM, Nagpur. "Our students have made their presence felt in the corporate world and I am sure that it is just the beginning. I would also like to thank all our corporate partners for their confidence in IIM Nagpur and its students. We are sure of reaching greater pinnacles in the years to come" said Mr. Souvik Roy, In-charge, Career Development Services (CDS), IIM Nagpur. In January 2018, the institute conducted summer placement for the third batch of management students. More than fifty recruiters, including many first time participants, from across sectors like FMCG, Analytics, IT Consulting, BFSI, Consumer Durables, Logistics, Media and Broadcasting, participated in the process. The highest stipend on offer was Rs. 1.8 lakh, and the average was Rs. 60,176.